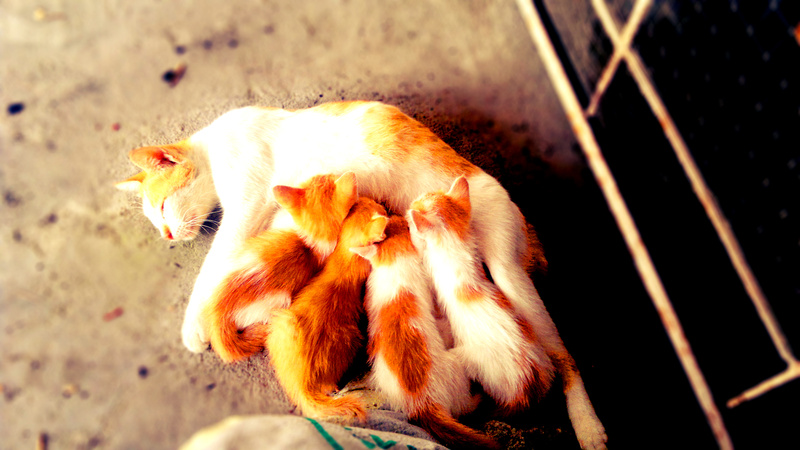 We found this baby giving birth to 4 cute kittens 2 weeks ago at an abandoned carton in our garage. The kids were so delighted and afraid at the same time (they’ve never seen a cat giving birth before)… Told them we’d get one kitten when they grow a little bigger and my eldest said “why not now, when it’s still little and it can’t fight us when we get it?”. I explained that we can only get one if the kitten’s old enough to live without thier mommy. The next day, we found the carton empty, they were devastated and practically heartbroken. We haven’t seen the kindle since then. When we woke up this morning, a surprise was waiting outside the house. There in the corner on the way to the kitchen lay this cuties, and my girls were overwhelmed with the picture. 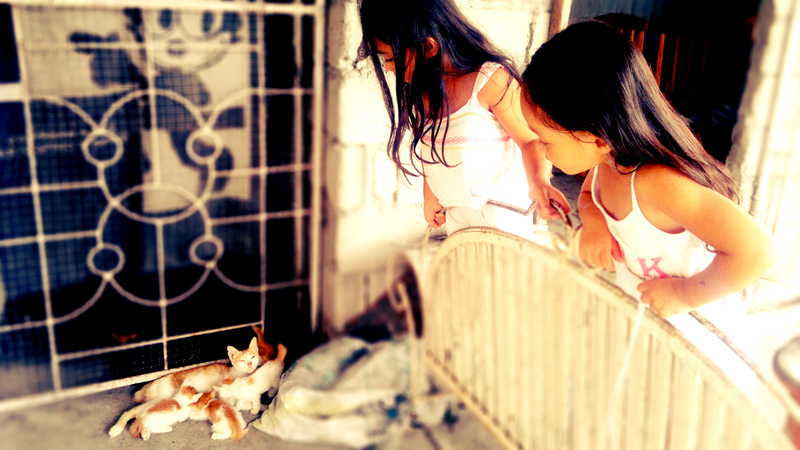 Amazed at how the kittens grew so fast, they wouldn’t leave the poor thing alone. Me on the other hand can’t help but wonder how wonderful this circle of life is. A baby was born, you teach them everything you know, they become adult and then another baby comes into view… Life’s wonderful isn’t it?